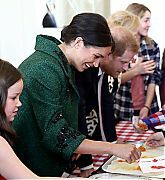 On March 11, 2019 The Duke and Duchess of Sussex marked Commonwealth Day at Canada House celebrating the diverse community of Canadians living around the UK. 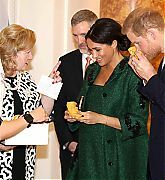 The couple watched young children during a demonstration of the Canadian spring tradition of making maple taffy. They then met with young Canadians working in fashion, the arts, business and academia. 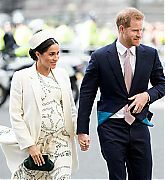 Before departing the couple signed the visitors book and accepted gifts for Baby Sussex. 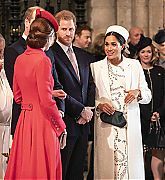 Later in the day Harry and Meghan joined other members of The Royal Family for The Commonwealth Day Service at Westminster Abbey. 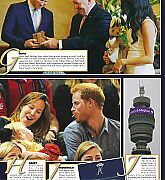 Organised by The Royal Commonwealth Society, the Commonwealth Day Service is the largest annual inter-faith gathering in the United Kingdom and at the end of the service there was a procession of Commonwealth flags. The National Theatre’s mission is to make world-class theatre that is entertaining, challenging and inspiring. And to make it for everyone. 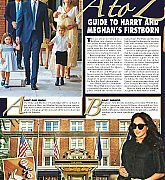 They aim to reach the widest possible audience, to be inclusive and diverse, and as national as possible. With a broad range of productions in London and across the UK. The National puts some of the nation’s leading artists on the world stage, with productions playing on Broadway and touring across the globe. The Association of Commonwealth Universities is the world’s first international university network, and is the only accredited organisation representing higher education across the Commonwealth. The ACU manages international scholarship schemes (including the UK government’s three major scholarship programmes and The Queen Elizabeth Commonwealth Scholarships), convene universities to address key policy challenges such as gender and equity, climate resilience, and peace and reconciliation, and promote the role of universities in delivering the UN Sustainable Development Goals. Smart Works is a UK charity that provides high quality interview clothes and interview training to unemployed women in need. Women are referred to Smart Works from organisations such as job centres, work programmes, prisons, care homes, homeless shelters and mental health charities. Funded entirely by public donations Mayhew aims to promote animal welfare by delivering a broad range of community-based veterinary, care and education services in the UK and overseas. By recognizing that animal welfare issues and social welfare issues are linked Mayhew works to protect the bond vulnerable people, the elderly, the homeless and those suffering from mental health issues have with their animals. And by taking their educational initiatives out to the community they have a better chance of helping prevent cases of neglect, abandonment and cruelty. The Queen’s Commonwealth Trust exists to champion, fund and connect young leaders around the world who are driving positive social change, serving their communities and providing hope, work and self-employment opportunities for others. 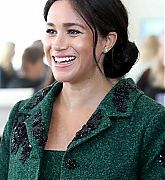 As Vice-President of the Trust Meghan will highlight the Trust’s partnerships with young people across the Commonwealth, and in particular its work supporting women and girls. 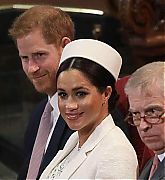 March 11: The Duke and Duchess of Sussex will join the Queen and other members of the Royal Family for the Commonwealth Day Service at Westminster Abbey. The service will be televised on BBC One at 2:15 pm. 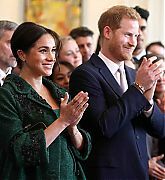 March 11: The Duke and Duchess of Sussex will attend a Commonwealth Day event at Canada House. The event will showcase and celebrate the diverse community of young Canadians living in London and around the UK. 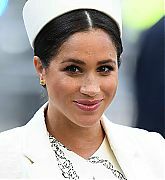 Her Royal Highness The Duchess of Sussex is supporting a new charity cookbook, which celebrates the power of cooking to bring people together. 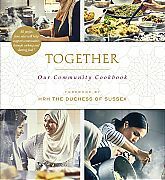 Supported by The Royal Foundation and published by Penguin Random House companies, ‘Together: Our Community Kitchen’ showcases over 50 recipes from women whose community was affected by the Grenfell Tower fire. 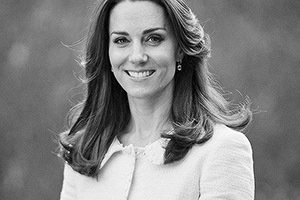 Catherine, Duchess of Cambridge, known in the media as Kate Middleton is the wife of Prince William, Duke of Cambridge. 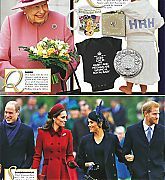 William is second in line to the thrones of the sixteen Commonwealth realms and, if he becomes king, she will become queen consort. On January 20, 2016 Meghan Markle attended ELLE’s 6th Annual Women In Television Dinner at Sunset Tower Hotel in West Hollywood, California.